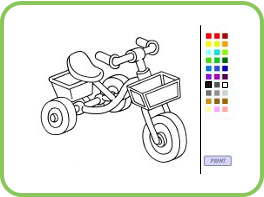 Color - Tricycle To color this image, use your mouse to select a color from the palette and click on the image to paint it. Print it and show it around! 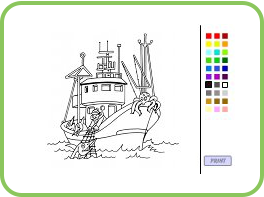 Color - Boat To color this image, use your mouse to select a color from the palette and click on the image to paint it. Print it and show it around! 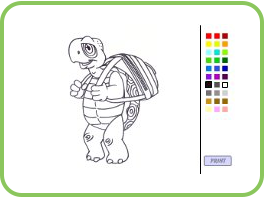 Color - Turtle To color this image, use your mouse to select a color from the palette and click on the image to paint it. Print it and show it around! 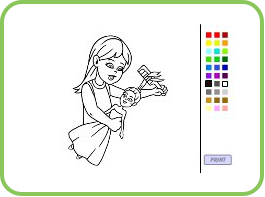 Color - Girl To color this image, use your mouse to select a color from the palette and click on the image to paint it. Print it and show it around! 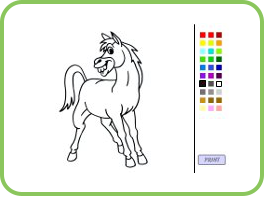 Color - Horse To color this image, use your mouse to select a color from the palette and click on the image to paint it. Print it and show it around! 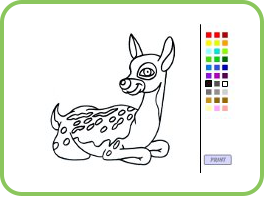 Color - Deer To color this image, use your mouse to select a color from the palette and click on the image to paint it. Print it and show it around! 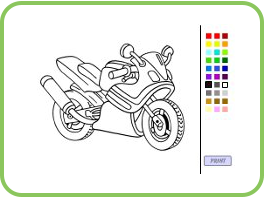 Color - Motorcycle To color this image, use your mouse to select a color from the palette and click on the image to paint it. Print it and show it around! 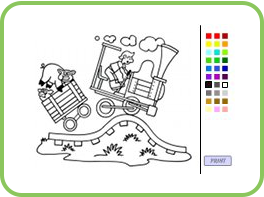 Color - Train To color this image, use your mouse to select a color from the palette and click on the image to paint it. Print it and show it around! 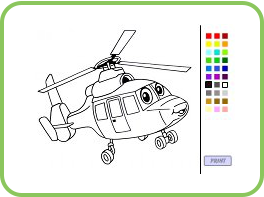 Color - Helicopter To color this image, use your mouse to select a color from the palette and click on the image to paint it. Print it and show it around! 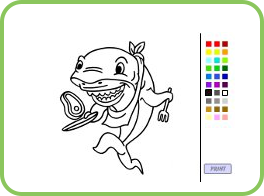 Color - Shark To color this image, use your mouse to select a color from the palette and click on the image to paint it. Print it and show it around!